We have the gold Games Mark award! "Oakham CofE Primary School was awarded the Gold Mark award following the validation call, with a portfolio of evidence in place to support all areas of the Mark award. The evidence provided and examples discussed outlined the high level of activity taking place. The validation highlighted that the school was offering a very strong sports programme across all areas of the award, including: * Offering a wide range of sports at both Level 1 (9) and Level 2 (12) of the School Games and the school provided a range of opportunities though 'B' and 'C' teams, supported by the SGO competition calendar structure. The school also had a good understanding of personal challenge and had some good examples of a student-led approach to elements of this. * The school has 2 hours of PE for all at Key Stage 2 and will introduce elements of Real PE delivery in their schemes of work for next year too. 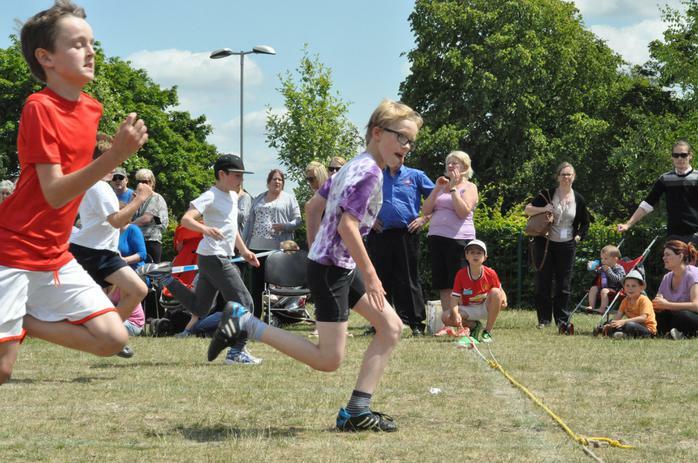 * The school utilised a tracking system for participation in School Games across the school and this allowed them to identify and then engage the less active population with new/adapted sports. 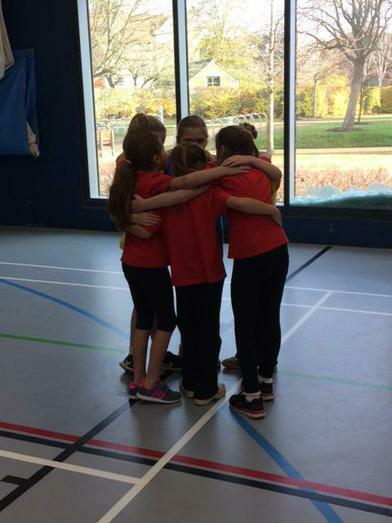 * There was evidence of a strong sports leadership programme in place which allowed 25 pupils to be involved in the delivery of School Games activity. 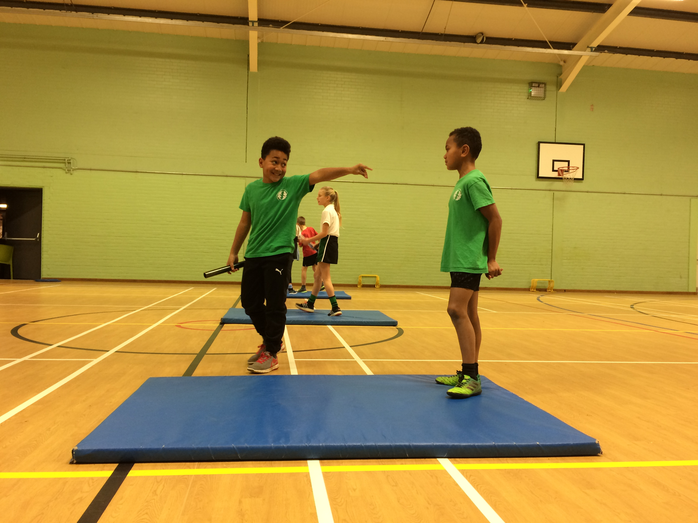 The 'Sport Crew' met regularly and involved training for Year 5 and 6 students. 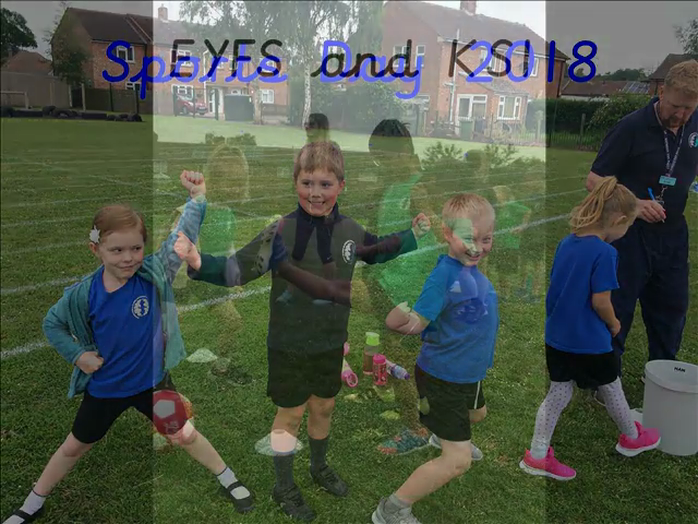 * The school also engaged well with local clubs and sports providers offering links into the community, and there were clear CPD opportunities for staff to develop their skills with sport specialists. The school should be proud of this application and the evidence collated as part of the process, in particular the journey they have undertaken through the other Mark award levels to get to Gold. Well done on your award, and good luck planning and delivering 2018-19." 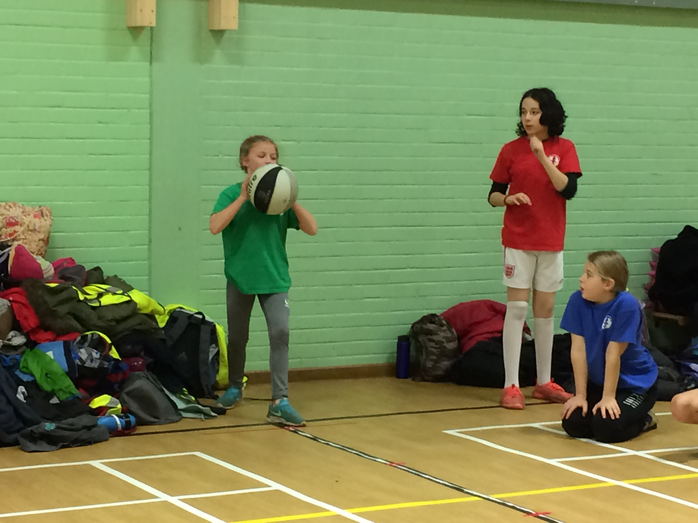 Throughout the year, our Sports Ambassadors will receive various training on how to become a great Sports Ambassador and will be given specific tasks after each session to try and implement in our own school. The Sports Ambassadors have already attended their first meeting at UCC and have been set tasks and goals ready for the next meeting. In addition to this, their final task as a Bronze Ambassador will be to assist in the delivery of the Key Stage 1 Multiskills Festival on in July alongside all the other Bronze Ambassadors and the Gold and Platinum Ambassadors. This will be a great final opportunity to see the entire Leadership Academy working together to deliver an event for children in Rutland. 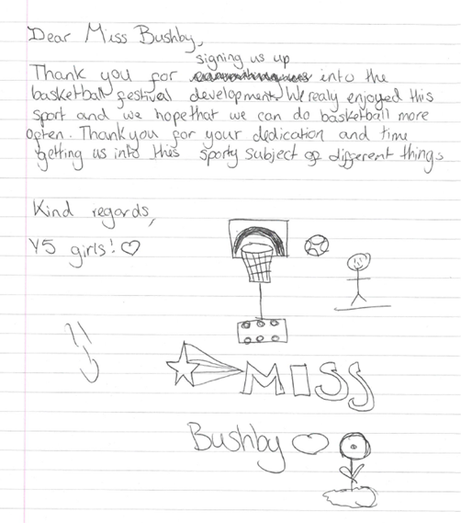 Our Sports Council are individuals who are passionate about sport and being active. They are responsible for organising and running the house competitions. 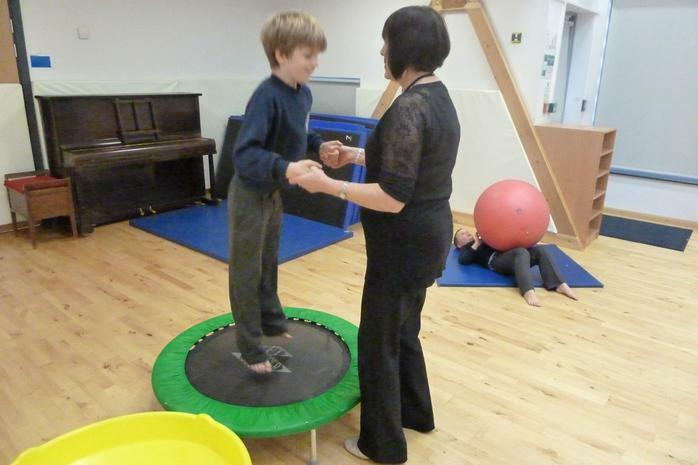 They also receive training from Just Do Sports on leading games and activities for other children at lunchtime. Our year 5 leaders help to run the house competitions and support the year 6s. 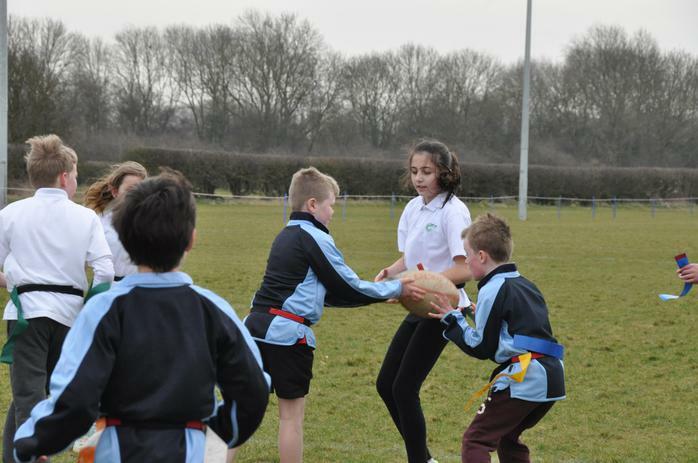 They are be prepared for the responsibilities of being the future Sports Council for Oakhmam C of E.
See the Rutland Competition Calendar here . This week it was the turn of our year 1 and 2 gymnasts to compete in the Key Steps 1 gymnastics festival. This competition is for club gymnasts and children who have competed in gymnastics competitions before, and the standard was incredibly high! They had to learn a floor routine and a body management routine which they performed in front of a panel of judges. They also had to showcase their skills on the vault. The children did a fantastic job and as a team finished 4th overall, narrowly missing out on 3rd place by only a few points! As well as the team competition, all of the gymnasts were also judged individually in all 3 disciplines. One of our gymnasts, Chloe, did extremely well in the individual competition. She finished 3rd overall for her vault, achieving a bronze medal, and 2nd overall for her floor routine, achieving a silver medal. A huge congratulations to all of the gymnasts for taking part. Our year 6 gymnasts represented the school in the Key Steps 3 Gymnastics competition. They were judged in 3 disciplines - floor, body management and vault. 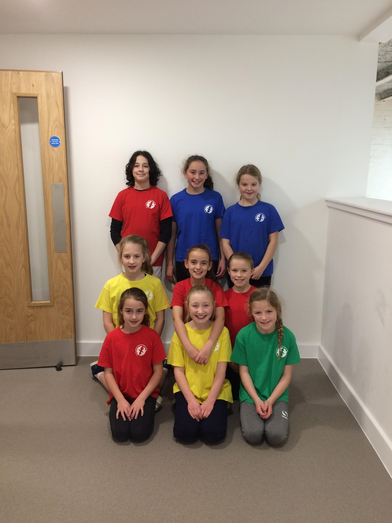 Although these girls are experienced gymnasts who have competed in gymnastics festivals before, the level of competition was extremely high and they were understandably feeling a little nervous on the day! They performed to the best of their ability and were proud to finish 12th overall. Well done for taking part! Four of our year 3 and 4 children competed in the Key Steps Gymnastics A Team competition. This competition is for club gymnasts and children who have competed in gymnastics competitions before, and the standard was incredibly high! They had to learn a floor routine and a body management routine which they performed in front of a panel of judges. They also had to showcase their skills on the vault. Here are some pictures of them in action! The girls represented the school with passion and pride and were delighted to finish 14th overall. Well done! 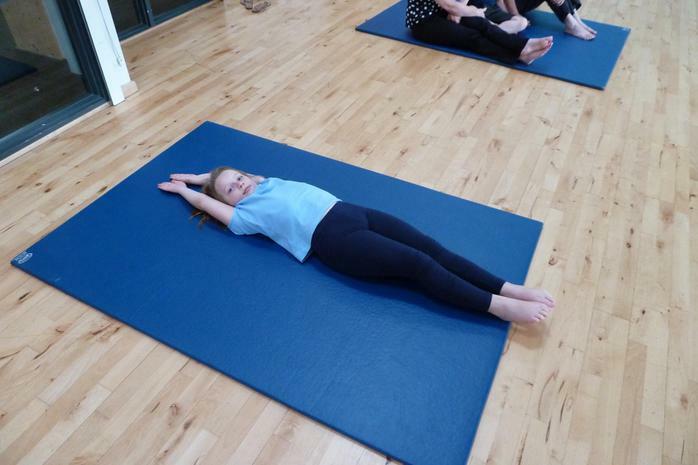 On Wednesday, four of our year 3 and 4 children competed in the Key Steps Gymnastics B Team competition. This competition is for non-club gymnasts and most of these children have never competed in a gymnastics competition before. They had to learn a floor routine and a body management routine which they performed in front of a panel of judges. They also had to showcase their skills on the vault. The children had a great time and did the school proud and as a team finished an impressive 6th overall. Well done! On Friday it was time for the first house competition that is organised and run by the year 5 and 6 sports council. This time the event was called Pop In Pumpkins. 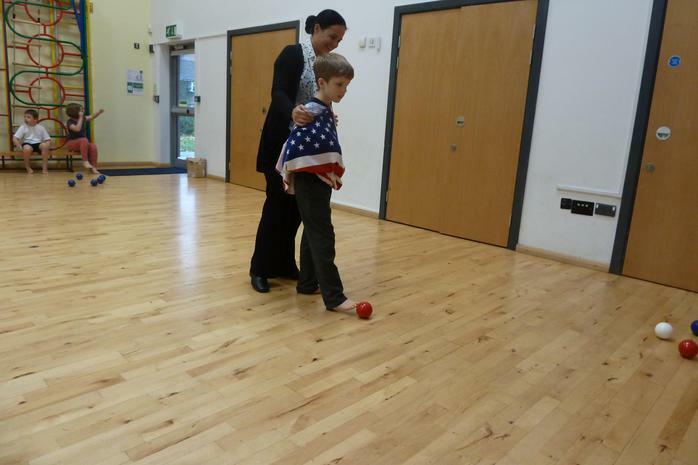 Each class took part in an obstacle course where they had to carry bean bags through the course and deliver them into the mouths of pumpkins. The bean bags acted as points for their house and the Sports Council recorded the scores to find out the overall winners. In 1st place - Purpose with 310 points. The winners have had 100 house points added to their totals, second place won 50 house points, 3rd place won 25 house points and 4th place have had 10 extra house points added to their total. A big well done to the Sports Council for planning, advertising, organising and running the event! 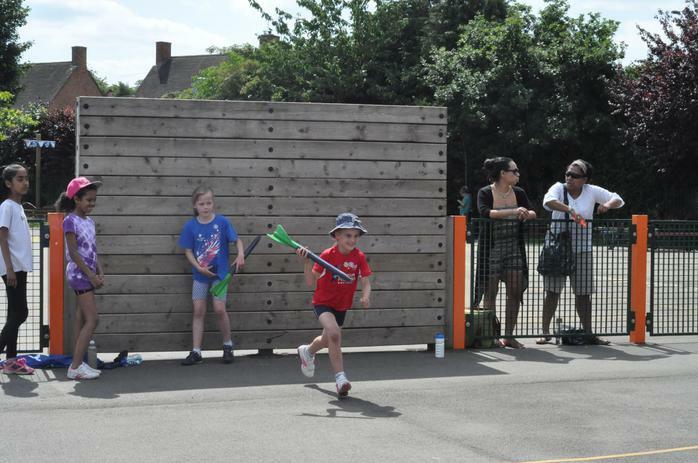 On Tuesday the year 6 sports council visited Scallywags Nursery to run a sports afternoon for them. They designed and organised their own activities and supported the pre-school class in completing all of the challenges. "We would love to do this again, everyone really enjoyed themselves... Your year 6 students were a credit to you and the school, they were kind and patient and the pre-schoolers couldn’t wait to tell their parents all about it!" A huge well done to everyone for competing! 8 children from year 5/6 attended an Aquasplash festival. They spent an hour playing water based games and working as a team to solve challenges. 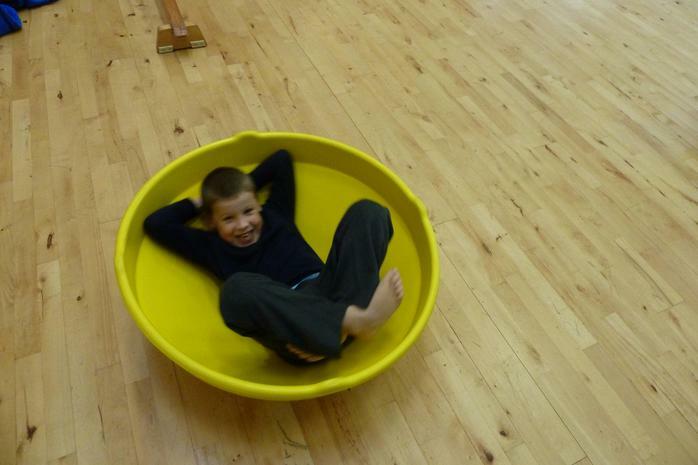 All of the children had a great time and there was lots of laughter! The event was designed to build confidence in the water and the children certainly came out feeling proud of themselves and passionate about swimming. Congratulations to Jemima, Troy and Manny - our Bronze Sport Ambassadors - for completing their training and receiving a distinction! 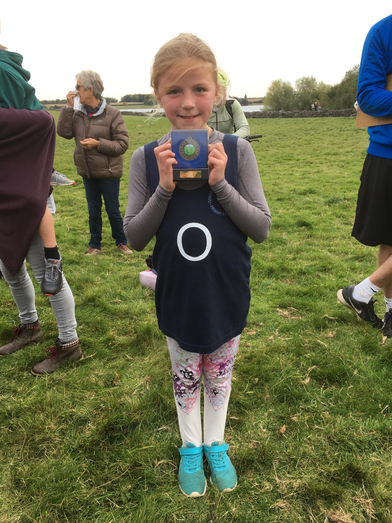 Congratulations to Lily-Ann for winning an award for her excellent dedication to cross country running. We were also pleased and proud to be nominated by another school for the Fair Play Award - which we also won! Sportsmanship is so important to us so we are honoured to receive this award. Our 3 rounders teams took part in the rounders competition on Wednesday 27th June at Casterton College. It was a long hot day where each team played 5 matches overall. The final results showed that our Oakham 1 team finished 4th out of 21 teams. A very respectable result! We wish to say a huge thank you to the children for representing the school beautifully and showing their great skills, Mr Hammond for coaching them and to Mrs Cooper for coming along to support on the day. 10 children represented the school at the athletics competition on Tuesday 19th June and returned with impressive results! Huge congratulations to you all and a big thank you to Miss Partridge and Mrs Ives for taking you and supporting you. We took 4 teams (2 from year 3/4 and 2 from year 5/6) to compete in the Quadkids competition. Each child had to compete in 4 events - sprint race, middle distance race, throw and jump -to earn points from their teams. Overall our teams finished in 4th place which meant they narrowly missed out on qualifying for the finals. Special mention needs to be made to Chloe as she can first overall as an individual. Huge congratulations! We were pleased to see so many parent supporters there and would like to say a big thank you for their support and help at the event. Our year 5/6 girls and boys mixed cricket team competed at the competition held at Uppingham Cricket Club on Wednesday. After many exciting matches with highs- such as smashing sixes and superb catches - and lows - like hitting our own stumps - we eventually finished 6th overall out of 10 teams. A huge thank you to Mr Thackwray and Mr Hobby for taking the children to this event and a massive well done to the children for representing the school so well. We entered two team in the year 3/4 tennis competition. All children played really well and put up a good fight. We are incredibly proud of their efforts. Overall the A team finished in 3rd place and the B team came 15th. Well done to all involved and for Mr Knight and Mrs Haddon for taking them. Well done to our hockey teams who took part in the tournaments held on recent Tuesdays, They played well together as a team and the year 3/4s made it through to the second round and eventually finished 5th overall. The year 5/6 team won 1 game, drew 2 and lost one but unfortunately didn't finish in the top of their groups to qualify for the next round. As always, thank you to the children and staff for giving up their spare time to represent the school with passion and pride. 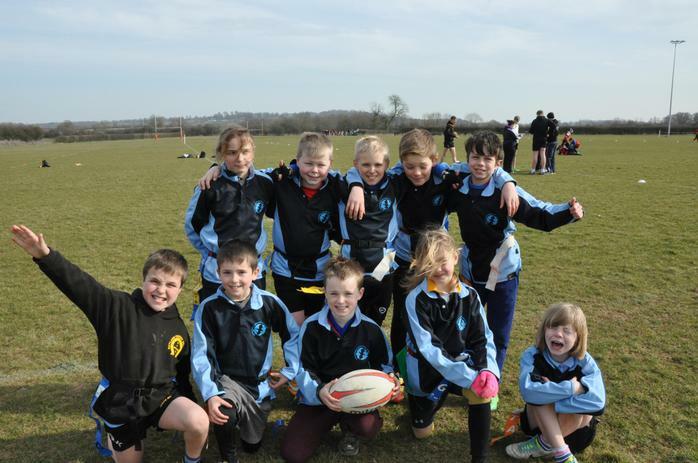 OUr year 5 tag rugby team took part in the tag rugby competition today at Oakham Rugby Football Club. After 4 matches we had won one (6-2 vs Brooke Hill2), drawn one (3-3 vs Catmose) and lost 2 (5-4 vs. St Mary's and St Johns and 6-5 vs English Martyrs 2). Our performance put us third in our group and so we went on to play 2 further matches where we won one (6-4 vs. Cottingham) and lost on (7-6 vs. Leighfield). 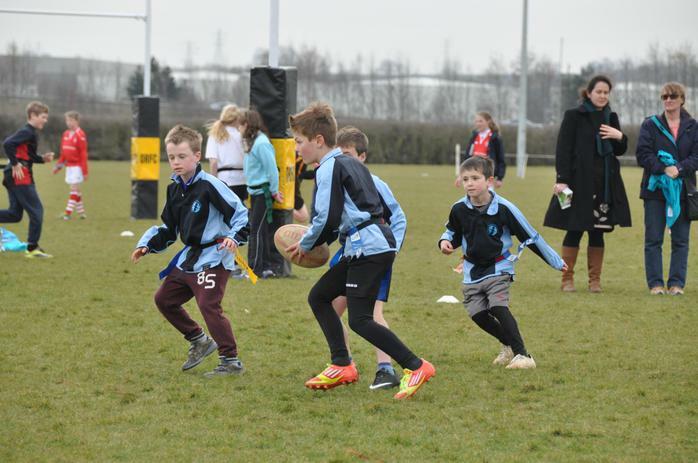 The games were exciting to say the least and Oakham C of E pushed hard and gave up a good fight right to the end. Overall we finished in 10th position out of 20 teams. A big well done to the team and to Mr Knight for training them. Can you spot the familiar referee from out game with Cottingham? Our sports council and young sports ambassadors organised, promoted and ran the house competition to raise money for Sport Relief. Each class had to compete on an obstacle course to deliver eggs. The sports council kept tally of the scores throughout the day to combine the score for each house. In 1st place - Perseverance with 252 points. The winners have had 100 house points added to their totals, second place won 50 house points, 3rd place won 25 house points and 4th place have had 10 extra house points added to their total. A big well done to the Sports Council for planning, advertising, organising and running the event! Take a look at their forum notes from after the event to see how they reflected on the event. Congratulations to our swimming team for finishing in 6th position at the School Games Swimming Competition today. They represented the school with passion and pride and we are very proud of their talent and sportsmanship. As always, a huge thank you goes to Mrs Goodwin and Mrs Haywood for training, supporting and managing the team. See the overall results here: https://www.activerutland.org.uk/swimming1 . Don't forget to check our overall performance in the medals table using the link above. Our cross country runners completed the final event in the Rutland cross country league this Saturday. It was a cold, fresh morning but the sun was shining and the ground was hard. Our runners looked strong through their races and finished in good positions (we currently await their final positions). During the award presentation at the end, we found out that Lily- Ann finished in gold first position, Jemima came away with a silver and Poppy also received a silver in her race. We are immensely proud of all of our runners and would like to thank all of the supporters too! 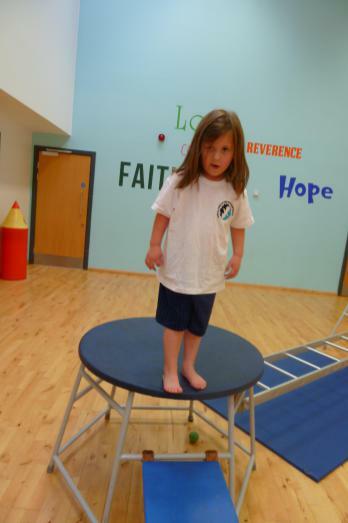 The Foxgloves (Year 1/2) participated in a multiskills festival where they had to compete in 9 different activities that would challenge their agility, balance, speed and accuracy. They had a great day and finished in 9th place overall. Our key stage 2 gymnasts competed at the Key Steps competitions today. After weeks of practising, they gave solid performances and had a great time. For lots of them it was their first competition so we are proud of their bravery, sportsmanship and team spirit. Oakham 1 - Ella 50th, Grace 64th, Lexi 60th, Kacey 70th. Their team position was 16th. Oakham 2 - Jasmine 55th, Chamelie 81st, Chloe 66th. Their team position was 13th. Oakham 1 - Sam 14th, Iris 19th, Jemima 21st, Eden 26th. Their team position was 6th. Oakham 2 - Eve 52nd, Helena 52nd, Selina 40th, Phoebe 55th. Their team position was 14th. Huge congratulations to our swimming gala team who competed in the first qualification of the competition last night. 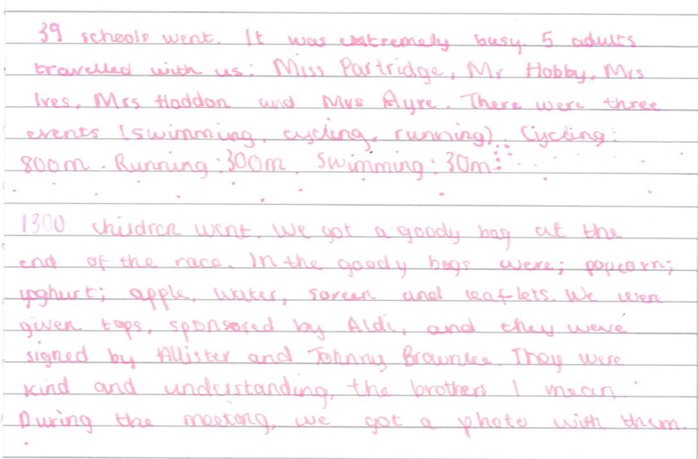 All of the children have been training hard and their results were a good display of this. We are immensely proud of them and would also like to say a huge thank you to all of the staff who helped to train, encourage and support them. We are lucky to have such passionate people. The finals are to be held on Monday 26th February from 2-5pm. Unfortunately, we will not have confirmation of who has made it through to the finals until the final qualification has been held in two weeks time. We will let you know as soon as we know! As you can see from the results, we have lots of children who are doing very well and are in line to get a podium finish after the final event. I'm sure you will join me in sending them your support. Our Sports Council and Young Sports Ambassadors organised and ran an inter-house competition. 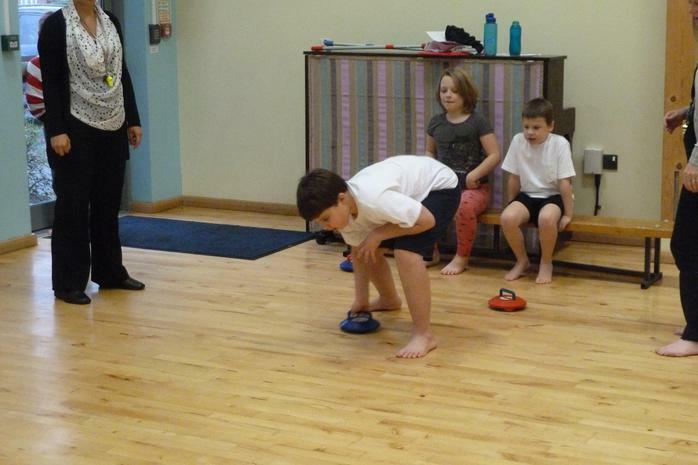 Each person in the school competed in a throwing competition to score points for their house. In 1st place - Purpose with 220 points. 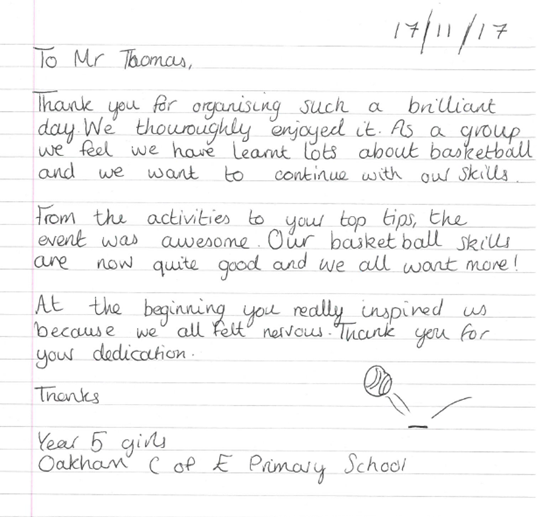 Some of our year 5/6 children attended a basketball competition on Thursday morning. The competition was a 5-a-side game. We lost two games, drew one and won one 8-0! The children had a great time at the event and each match was close. We didn't make it through to the finals on this occasion but have spotted some potential Michael Jordans! Remember to check the medals table (see the link above) to see our current position! 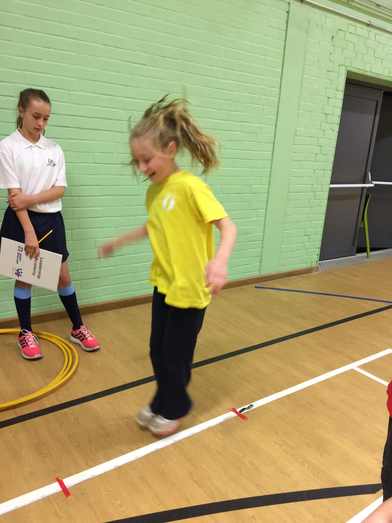 19 year 5 and 6 children attended the sportshall athletics competition on Wednesday after school. 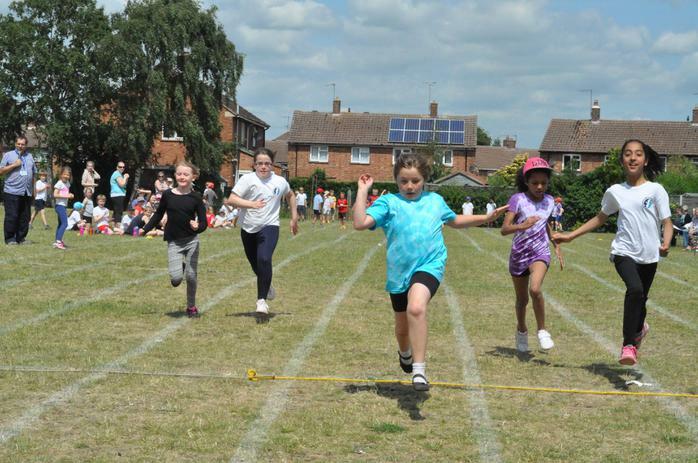 The children took part in one or two track and field events where they had to complete as part of a team to achieve the best score. After many exciting races, we eventually finished in 4th position and narrowly missed out on getting through to the finals by 16 points. We were very proud of the children for their efforts, sportsman ship and for representing the school so well. 18 children from KS2 went to Rutland Water to run the cross country course. The weather was fine and the children were ready and raring to take on the gruelling course which finishes with an uphill sprint. All of the children competed remarkable well and we were very proud of their team spirit. 4 of our children - Lily-Ann, Jemima, Poppy and Owen have qualified for the county team and Alfie has made it into the reserves. Lily-Ann even won a bronze medal in her individual performance in her age/gender group. They will now go on to train for the next level competition in March. For our school, the year 6 girl team - Jemima, Lily-Ann and Iris - won silver. Huge congratulations to everyone involved and a special thank you to our helpers for marshalling and helping to organise the children. Remember to check the medals table to see our progress(the link is above).